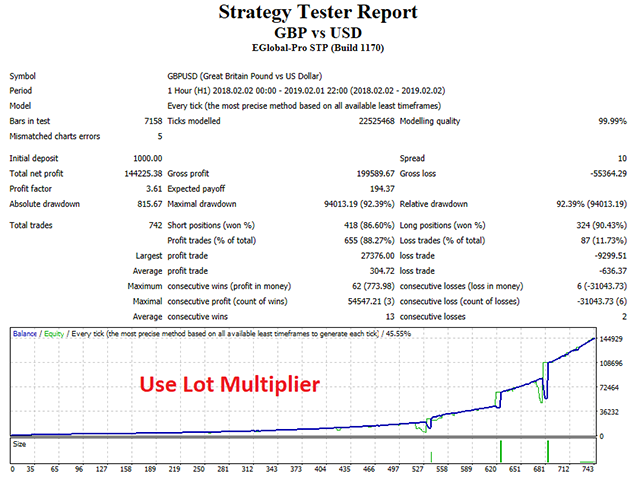 The indicator-free EA for GBPUSD, which was written on long-term observations of the behavior of the GBPUSD currency pair. Night scalper. Works in the Asian session. It trades limit orders in both directions. Makes candlestick analysis on the history, and then decides to open limit pending orders to buy, sell or both sides. 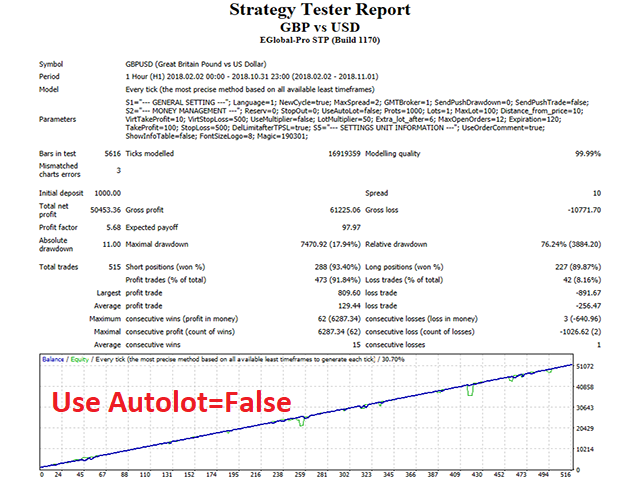 All trades are protected by stop loss and take profit levels. It works with two levels of stop loss and take profit: with virtual, which is not seen by the broker and on which there is a closing of transactions, as well as with real levels for the broker. Can calculate the volume of orders using not the entire Deposit, and leave part of the Deposit in reserve. The default settings for trading GBPUSD on the H1. 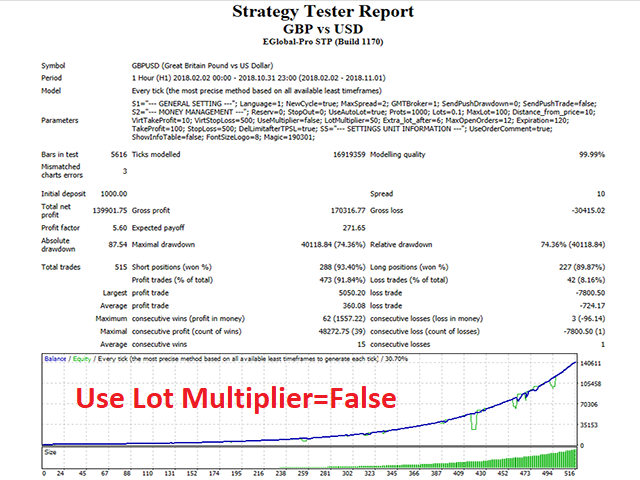 An account with market order execution and minimum spreads from 0 pips (ECN, STP) is desirable. Minimum leverage is 1:500, minimum Deposit is 100 usd. For the correct operation of the EA, you need to correctly set the GMT of your broker. You need to install GMT broker in winter time only. For example: your broker in winter GMT+2, then set the parameter Broker GMT (winter)=2 and the transition to daylight saving time, this parameter is not changed. The values of the parameters are set as for 4 digit quotes, for 5 digit EA will recalculate itself.